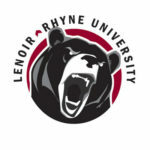 HICKORY – Limestone College overcame four goals by Lenoir-Rhyne University’s Eric Dickinson on Saturday, beating the Bears 19-9 in a season-opening men’s lacrosse match at LRU. Quinn Kuhn and Ben Austin each had multiple goals for LRU (0-1). Limestone scored the first four goals and never trailed. The Bears got within 9-7 on a goal by Joe Buduo with 10 minutes, 43 seconds left in the third quarter but Limestone then scored 10 of the final 12 goals in the match. The Saints had a 47-43 edge in shots and 31-25 lead in ground ball, and they got 28 shots on goal to the Bears’ 20. LRU went 13-for-20 on clear attempts and had 18 turnovers. The Bears’ next match is at home against Belmont Abbey at 1 p.m. on Saturday.